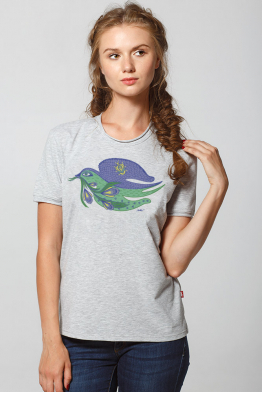 This graceful bird has long been representing rebirth and spring , green shoots of love and beginnings. 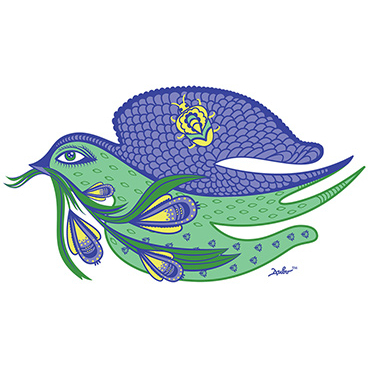 The so-called Phoenix in Ukrainian way is represented in many folk stories and still untold mysterious stories of the Ukrainian culture ... they consider a Swallow to be a blessed bird. Crocus for the Swallow is a messenger of hope and joy. In combination they create an image of the light spectrum of our lives. Swallow is a partner of destiny, a bird of blessing. According to the legend, the well being will dwell in the house where swallows weave their nest. Destroying a swallow's nest, the man had brought upon himself considerable trouble. 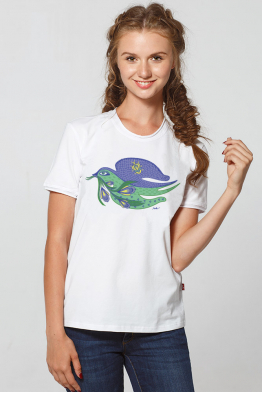 Besides, the swallow has long been considered a symbol of motherhood and love; on the feast of Rozhanitsya children sculpted clay figure of a swallow and gave their mothers as a present. This print will certainly contribute to your personal blessing, your good fortune. If things don't go well, there is one panacea. You can simply stop walking, stop hearing the noise of the city, disengage from the routine,and look at the sky: large, eternal, and infinite blue. And to melt in it, like the swallow, flying over the horizon and giving us peace and grace. Dip in the sky as it is,and your problems will cease to be so important and impossible to resolve. Everything is possible! Besides, your own Swallow can protect you with its wings from all kinds of hardships and setbacks. This is the very part of the spring, that always will be with you in good and bad weather, that will always bring joy and goodness through the years. The flower of Crocus will delight the eye and impress the hearts of others . Now try to create your light as a bird feather image with our spring swallow. Imagine how wonderful it is to feel a light flight of the bird. To see the world from a new angle, l..